Sleek and sporty with Alfa's trademark eye-catching Italian styling, the Alfa Romeo 147 is a hatchback with plenty of attitude. It's as good to drive as it is to look at thanks to the range of punchy engines available, combined with responsive handling that's guaranteed to put a smile on your face. 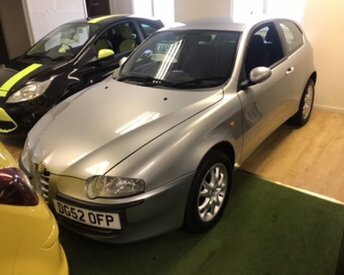 Visit Cars4u (Worcestershire) Ltd today and view our complete range of used Alfa Romeo 147 models for sale in Kidderminster. Trained technicians inspect all of our used vehicles before they arrive on the forecourt, so you can always be sure of finding a quality vehicle at an affordable price. Contact the team now to arrange a test drive in the model of your choice.